Kerala is likely to lose 250 medical seats after an MCI inspection, which observed that the government colleges are short of faculty and other infrastructure facilities. These 250 seats belong to four medical colleges in the state. A further break up includes 100 seats in Manjeri and 50 each in Idukki, Kozhikode and Alappuzha. A factual report is yet to be submitted by MCI. However, MCI has been giving continuous hints to the govt over its concern of non-adherence of the undertaking by these government colleges. Ample time was given to rectify these deficiencies before a compliance report is submitted. Biggest concern over this scenario is the future of students admitted, especially to Manjeri and Idukki medical colleges. 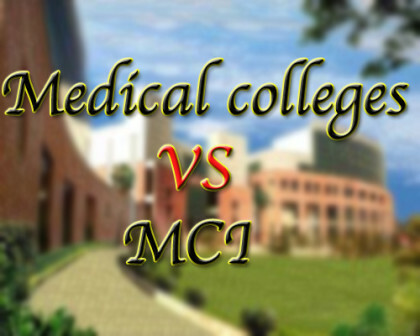 Both these colleges have a high proportion of students from the backward communities. Kerala Government Medical College Teachers Association state president and MCI member Dr K Mohanan said there was a possibility of the state losing about 250 seats. “Though the state government had given an undertaking to the MCI twice, nothing has been done. The government has not taken any steps to create new posts or improve the infrastructure. No deficiency as pointed out by the MCI has been corrected,” he said. He also doubted if a third undertaking would be accepted, as reported by Express. Kerala Government Post Graduate Medical Teachers Association state president Dr Ajith Prasad J S raised concern over the students admitted to Medical Colleges in unrecognised seats. “Once the course is completed, they will find it difficult to register with the authorities concerned and practice as doctors,” he said. Though the government has started new medical colleges, it has done nothing to provide the infrastructure or recruit the needed faculty, he alleged.